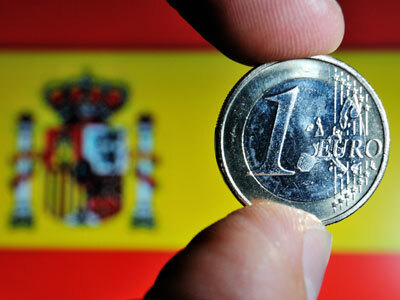 Spain has seen strong demand for its debt, with investors becoming more confident about the economy. 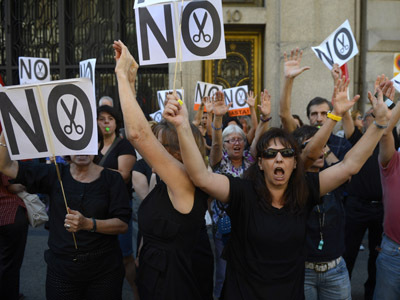 The country is still considering the possibility of asking for a bailout that would pave the way for ECB intervention. The eurozone´s 4th largest economy, and one of its largest debtors, raised 4.8bln euro ($6.2bln) in a Thursday debt auction, which saw a drop in the benchmark interest rate. The Treasury sold 859mln euro in benchmark 10-year bonds at an average rate of 5.67%, down from 6.65% in the last auction on Aug. 2. Demand was almost 3 times oversubscribed. 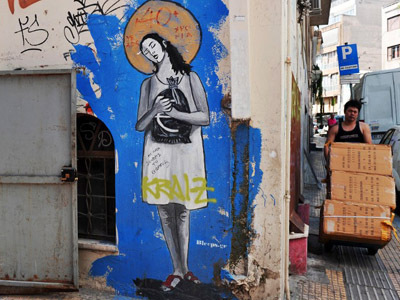 Another 3.94bln euro came from three-year bonds that were sold at a rate of 3.84%. Spain's borrowing costs have fallen from unsustainable highs since the European Central Bank in August unveiled plans to buy the bonds of financially weakened countries. Madrid has said it may apply for aid if the terms are reasonable. 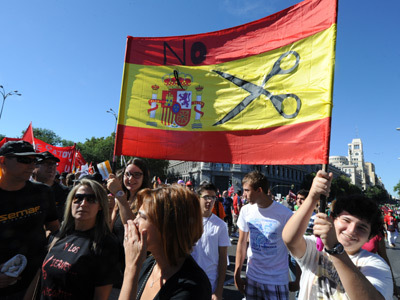 However, so far Spain is reluctant to ask for aid fearing it may lose some fiscal sovereignty. It is also concerned that asking for help would place its economy under further growth-stifling austerity. 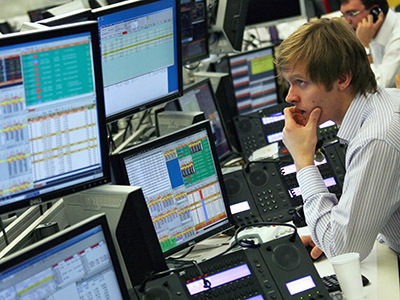 According to indexes compiled by Bloomberg and the European Federation of Financial Analysts Societies, Spanish bonds have been the best performing securities in the world this month, but fell for the first time in three days. Meanwhile German 10-year government bonds advanced for a fourth day, the longest run of gains this month fueling demand for the euro area’s safest assets. “Demand for safety remains well in place,” Michael Leister, a fixed-income strategist at Commerzbank AG in London told Bloomberg. France, which has recently benefited from a hunt for yield similar to Germany, also sells debt later in the day.